WILDWOOD, Mo. 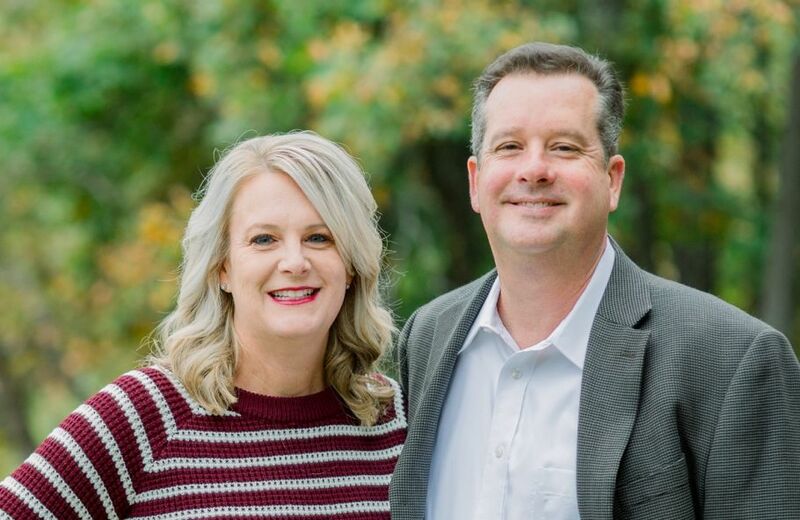 - Jan. 9, 2019 - PRLog -- Local husband and wife team John and Laura Deister are pleased to announce the launch of their new in-home care business, Home Helpers of West St. Louis. Home Helpers is the nation's leading franchise specializing in comprehensive home care for seniors, new mothers and individuals needing recuperative and continuing assistance. Home Helpers of West St. Louis also offers Direct Link, its proprietary line of 24/7 medical alert systems, including a fall sensor with GPS locator and an automated medication dispenser. Home Helpers of West St. Louis serves St. Charles, Cottleville, Defiance, O'Fallon, Pacific, Chesterfield, Wildwood, St. Albans, Valley Park, Eureka and Fenton in Missouri. Prior to opening Home Helpers, John spent 27 years in software development, including 10 years as an executive leader of a global software development team. As his career progressed, he found himself looking for new challenges and opportunities, including the desire to open his own business. Laura was working as a caregiver and her experiences inspired John to look at in-home care franchises. "I could see the care and compassion she was bringing to her clients and how much they valued her service, but I could also see the challenges caregivers and clients were facing when trying to work with other agencies. That made me realize there was an opportunity to open a different kind of in-home care company that would support caregivers and clients at a higher level and work with them to provide the best possible care. That's what we're working to do with Home Helpers," John said. Laura, who has a bachelor's degree in biology, worked as a caregiver for another agency for three years before opening Home Helpers. She also stayed home to raise their four daughters and then spent time caring for multiple loved ones. "My experiences as a caregiver and a mom inspired me to go into caregiving, but there are definitely challenges for clients and for caregivers throughout the industry. When John told me about Home Helpers, I saw an opportunity to bring a new kind of in-home care company to this area and to change that experience. We want to be an excellent resource for people who need care and their families as well as a great employer for the best caregivers in the area," Laura said. Home Helpers specializes in helping families care for their loved ones so they can focus on spending quality time together – not just being full-time caregivers. Home Helpers' full-range of home care services empower clients to live healthier and more rewarding lives in the privacy, safety and comfort of their own homes or wherever they call home. Laura added that Home Helpers, unlike some other caregiving companies, provides individual training for staff members and personal introductions between clients and caregivers. That means caregivers are prepared for every situation and the partnership can start on a strong foot every time. Home Helpers of West St. Louis offers free in-home consultations and works with each client to create a flexible, affordable care plan based on a person's individual needs. Services offered include personal care such as grooming, bathing, ambulation, medication management and care management as well as respite care, meal preparation, laundry, light housekeeping, companionship and transportation. For more information about how Home Helpers of West St. Louis can serve you and your family, call (636)735-3536, email JDeister@HomeHelpersHomeCare.com or visit www.HomeHelpersHomeCare.com/West-St-Louis.